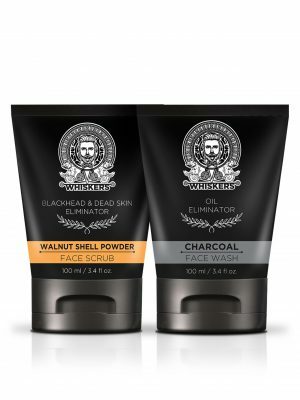 Charcoal Face Wash by Whiskers is an ultimate fighter equipped with awesome properties of activated charcoal that targets trapped impurities for deep cleansing. It removes excess oil and purifies the skin naturally. Very effective in acne and pollution control, it is more powerful than a basic face wash. Activated Charcoal has powerful property of extracting impurities like bacteria, poisonous pollutants, chemicals, dirt and other micro-particles from the surface of the skin and rendering it deeply cleansed. As a result you get a flawless complexion and healthier looking skin. Let’s call a spade a spade. Boys are haggard, men… are flawless! 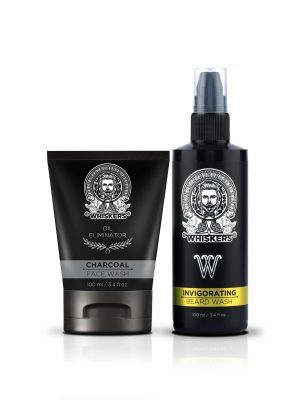 The activated carbon in the Whiskers Charcoal Facewash eliminates the dirt, dust and grease that the male facial skin has a tendency to attract. Deep cleansing the skin, without much hassle, simply makes Whiskers Charcoal Facewash the best facewash for men. So do you want to buy charcoal facewash in India? Then Whiskers is the way to go. The Whiskers Charcoal Facewash cleans out excess oil and impurities in a single wash, leaving your face looking fresh and charming. Face it, a woman prefers a man who can get his hands dirty, but has a clean face & of course a good heart. The power of charcoal, to not just clean the excess oil, but also keep the skin from getting oily soon after, is what makes Whiskers Charcoal Facewash the best facewash for oily skin. Why do I Need a Charcoal Face Wash? Gone are the days when men just used any facewash because “It doesn’t matter”! Men today care about the health and looks of their skin; be it avoiding wrinkles, avoiding excessive oil, or keeping the grime at bay. The 21st century men love themselves and are not afraid to say it out loud. Whiskers celebrates this male self-awareness, the proof of which is this amazing product. The Whiskers Charcoal Facewash is a product that aims at not only making men look better, but also gives them visibly healthier skin. With the capacity to cleanse the excessive oil, Whiskers Charcoal Facewash cleans out the toxins clinging on to the facial skin, keeping pimples at bay. This is what makes this the best facewash for pimples. Benefits of Using a Charcoal Facewash – Why is it the Best Facewash for Men? Now, very few people know that even while oily skin is at the risk of getting acne, excessive oil attracts grime and dirt. These two, if not cleansed well cause damage to the skin, giving way to pimples and pre-mature ageing. The activated carbon in the charcoal facewash from Whiskers, gently deep cleanses the grime, dirt and excessive oil, giving your skin the room to breathe and maintain its natural elasticity. This is what makes Whiskers Charcoal Facewash the best facewash for pimples. Charcoal can also keep pigmentation at bay. This ensures that dark circles and skin darkening don’t happen, leaving you looking beautiful in all your masculine glory. Lots of people spend a lot of money when they buy grooming products for men online. Are you one of those? Then you must have noticed that you will find a lot of products to protect the skin and deep cleanse it occasionally. But cleansing cannot be an occasional affair. Not just for the health of your skin, but also for your own psychological balance, regular cleansing needs to be effective. Have you noticed how washing your face can make you feel fresh and productive, almost instantly? Now tell us, if you know that your facewash, the best facewash for oily skin, is cleansing your pores and leaving you with healthy, toxin-free skin, wouldn’t your confidence reach a new high? More so, the Indian climate is such, that it does leave the skin oily and dirty on a daily basis. That is why we suggest that you buy charcoal facewash in India, and see how a simple act of washing your face can make a great impact to your confidence. Why is Whiskers Charcoal Facewash the Best Facewash for Men? Did you know that the Whiskers Charcoal Facewash, the best facewash for oily skin, is the first one of its kind that is a cream based facewash? That’s right. It is made using a method that ensures that despite the fact that the facewash cleanses your skin off the excessive oil, it doesn’t leave your skin dry and flaky. This guarantees that you look clean, and hydrated. 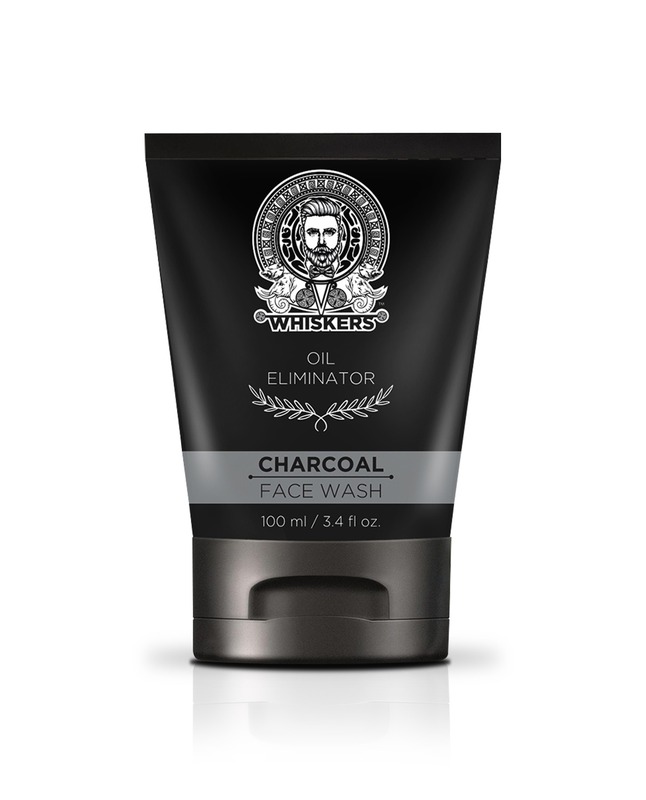 Along with dirt, dust and grime, the Whiskers Charcoal Facewash also eliminates bacteria. Bacteria is the number two reason for pimples and pigmentation. The first is toxins and dust, which Whiskers Charcoal Facewash- the best facewash for pimples, eliminates anyways. Hence we suggest that you buy charcoal facewash in India. If you have oily skin, it is important that you cleanse your skin regularly. Oily skin has a lower propensity to develop wrinkles. However, because of its ability to attract dust and dirt, the skin loses ability to breath, making it unhealthy. Unhealthy skin develops deeper wrinkles in lesser time. As such it is imperative that you cleanse your skin with the best facewash for men. Now, we all know how tough men are. Sure, they are the saviours of the world and the guardians of the galaxy. But even our superheroes need to feel the confidence of looking fresh and awesome. 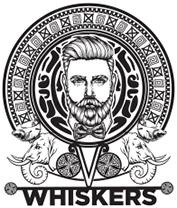 With Whiskers skin care products, you can be sure of your skin complimenting your charming personality with ease. 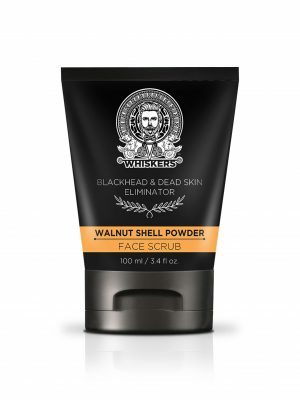 Combine the Whiskers Charcoal facewash with the Whiskers Walnut Shell Powder Face Scrub, and you will see how your skin glows with machismo! Flawlessness is no longer a distant dream. Just your regular facewash can bring out the charismatic dapper dude in you, who is sure to win hearts with ease!